HAPPY DIWALI FROM ISKCON TORONTO! ~ The Toronto Hare Krishna Temple! 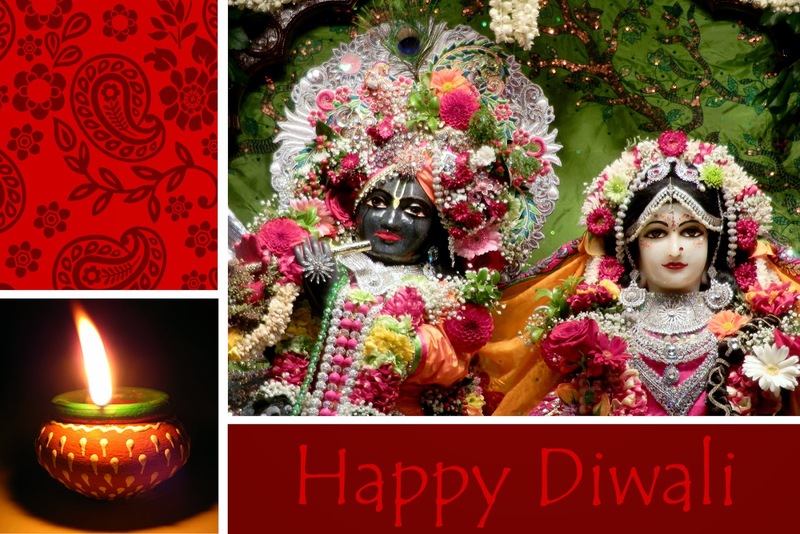 HAPPY DIWALI FROM ISKCON TORONTO! The story of Diwali stems back to ancient times when inhabitants of Ayodhya celebrated the return of Lord Ramachandra. Lord Rama was in exile, away from His kingdom, for many years. The joyful day on which He finally returned is observed as Diwali, or Dipavali as the residents of Ayodhya lit many lamps to welcome Lord Ramachandra home (“dipa” means candles, and “vali” means numerous). Click HERE for a small video that tells the wonderful story of Diwali! This time of year, the month of Kartik/Damodara, provides a very special opportunity to celebrate various festivals and events at the Hare Krishna Temple! Please join us for Govardhan Puja tomorrow (November 8th; 6-9pm)! Deepavali is celebrated to mark Narakaasura's death in the hands of Lord Krishna and Satyabhama. This is the most accurate. Happy Diwali, I visited Temple Premises yesterday morning on Diwali, It was sad to see empty Premise, I could hardly find and see anyone there, I felt bit disheartened as Diwali is that main Hindu fest..
Join us at iskcon Brampton. It was a full house! Not too far if you take public transit. Please join this Sunday feast November 11 from 11 to 2! I am wondering how accepting this tempme is of LGTBQ. I would like to know more about Harre Krishna but I and a gay Transgender Man.